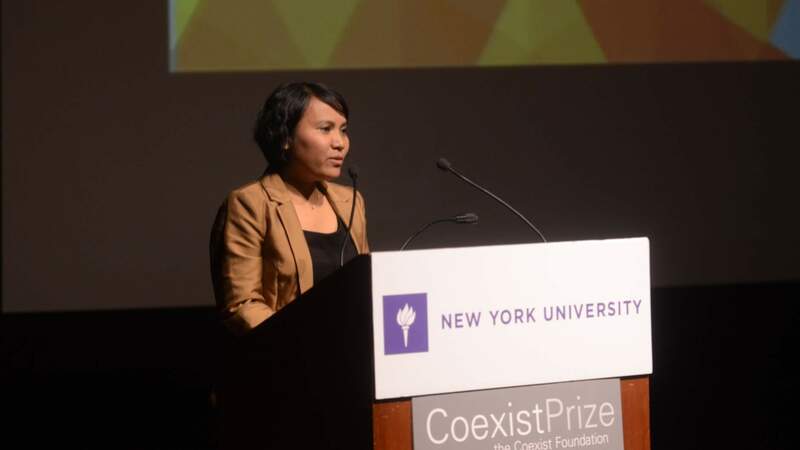 Lian Gogali, from Indonesia, is the first recipient of the Coexist Prize. 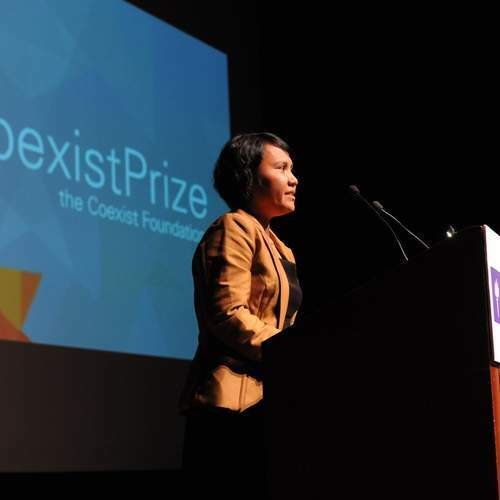 Lian Gogali, from Indonesia, is the first recipient of the Coexist Prize. She was honored for her outstanding and courageous work establishing Institute Mosintuwu, which educates Muslim and Christian women and children in post-conflict Poso. The runners up were Mustafa Ali, the Secretary General of the African Council of Religious Leaders and Dishani Jayweera, the founder of the Centre for Peace Building and Reconciliation in Sri Lanka. The ceremony took place at the Skirball Auditorium at New York University on the evening of March 20th, 2012 in the presence of the Grand Mufti of Egypt, Rabbi David Saperstein, Bishop Mark Hanson and other distinguished Religious leaders, academics and diplomats. Also receiving Highly Commended awards were Joshua Stanton, founder of the Journal of Inter-Religious Dialogue, Oliver McTernan from Forward Thinking in London and William Ury of the Abraham Path Initiative.